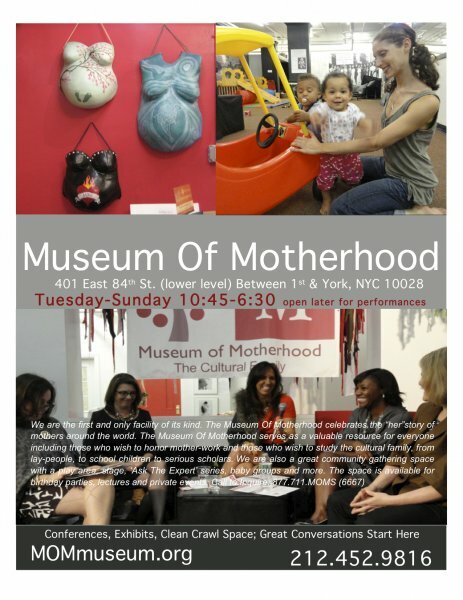 A Mommy-Focused Fitness workshop for new and expecting mothers will be taught by Kristen Pfeffer and Laura Shapiro on Sunday May 5th, 1-2:30 pm, at The Museum of Motherhood, 401 East 84th Street. 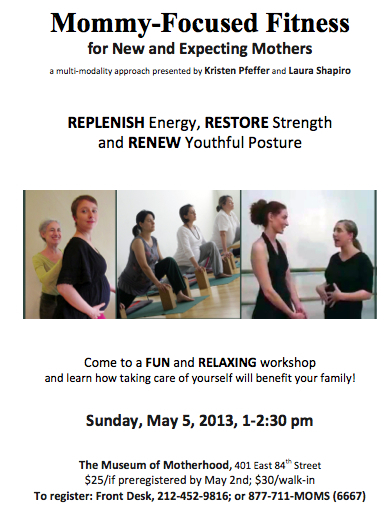 Integrating several mind-body modalities, the workshop will be an opportunity for mothers to take time for themselves to replenish energy, restore strength, and renew youthful posture at a venue dedicated to valuing and creating community for mothers. The cost is $25/if pre-registered by May 2nd; $30/at the door. 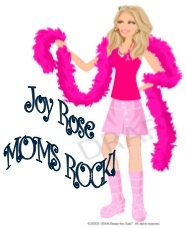 To register,call the front desk: 212-452-9816; or 877-711-MOMS (6667), or register online http://mommuseum.org/donations. Combining principles of Pilates, Yoga, Strength and Stamina Training and Tai Chi/Chi Kung, Mommy-Focused Fitness explores the mommy belly/low back connection; self-care for aching neck and shoulders; strength and stamina for lifting and carrying; understanding how motherhood affects hormones and how hormones affect your fitness and energy—and more. See attached flyer for instructor bios and additional information.